No, it’s not April Fool’s Day and I’m not joking. The 6/16/11 episode of Impact Wrestling was actually entertaining and didn’t have me pulling my hair out in frustration. Was it perfect? No, but then every show has room for improvement. Impact was a huge step up from the last time I watched and has me interested in next week’s shows. As a disclaimer though, I caught an online repeat at 11pm that didn’t include commercials. Maybe the lateness of watching the show, or the fact I didn’t have to sit through 4 minute annoying commercial blocks that can cause me to lose interest in any show skewered my perception. Whatever the case, I figured since I’ve spent months criticizing TNA, it’s only fair I also give them praise when I like the show. Onto my review of the show. I started watching towards the end of the Mr. Anderson/Gunner promo. Since I didn’t have to sit through an extended promo (which has become stale http://my123cents.blogspot.com/2011/06/wrestling-format-best-if-used-before.html) my annoyance level was kept to a minimum. The Mr. Anderson character doesn’t do anything for me. I think he’s quickly entered John Cena territory as far as being repetitive and juvenile on the mic. Mr. Anderson being champion doesn’t make me interested in any upcoming title matches either. I haven’t seen enough of Gunner to really have an opinion. From reading the results over the last few weeks it seems someone in TNA is really high on Gunner and is trying to make him a star. I have no problems with TNA using homegrown talent and making them the focus. That’s something I’ve been begging them to do for years. Though Gunner doesn’t really look like a star. He looks like generic indy wrestler template #3. But I’m willing to give TNA the benefit of a doubt and see if they can continue to focus on Gunner or if they get distracted and forget about him after a month. 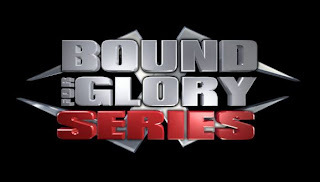 The Bound For Glory Series is an interesting concept. Since every match counts (TV and house shows) I’m curious to see if the numbers are correct or if there will be some creative accounting done to ensure a specific wrestler wins the tournament. Most of the top tier guys don’t work house shows while the wrestlers who do house shows don’t wrestle at every show. Will we see some guys kept off of TV for a few weeks to keep their numbers low? Or am I looking for a fire when there isn’t any smoke? The bigger question will be if TNA can actually stay focused on this until Bound For Glory. How long did the rankings system last before it magically disappeared? While I’m not really a fan of ODB or Miss Jackie, I do like the idea of them coming in and attacking Velvet Sky. Curious to see if they go after other “beautiful” knockouts as well or if they only feud with Velvet before disappearing again. The beat down was one of the most intense I’ve seen from women’s wrestling. It’s stuff like that that will separate TNA from WWE. I’m a sucker for good comedy, which is why I enjoyed the Eric Young challenging, and beating Jason Hervey segment. It came out of nowhere and was kept short. Still don’t understand why EY goes from wacky character to serious wrestler on a weekly basis, but this week was entertaining. Don’t understand why Matt Morgan wouldn’t want to be TV champion though. Destination X pay per view could be good if they let the wrestlers go all out and don’t overbook the show. Hopefully this will lead to the X division being more than an afterthought. It was interesting to see Kid Kash back in TNA given his history with the company. Would have liked to seen some interaction between Jimmy Rave and Christy Hemme for continuity’s sake. I’m not a huge Austin Aries fan but I can’t deny he has presence and has a solid fan base. The 3-way match with these guys was a great reminder of how good the X-Division can be when given the chance. Curious to see next’s week match with three new stars to TNA. 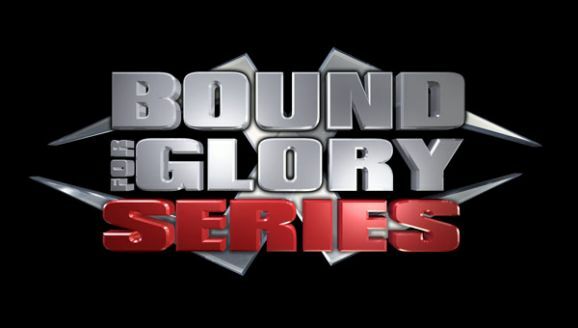 Samoa Joe and RVD put on a good match to kick off the Bound for Glory series. It’s a shame these two have been put on the back burner for no apparent reason. The main event was all right. As I said earlier, Anderson doesn’t interest me and Gunner is still too new for me to get excited about. With Kurt Angle being the number one contender will Gunner hang around long enough to get a title shot he deserves after beating both Anderson and Sting while they were champ? The street fight between Jeff Jarrett and Kurt Angle was something different. I don’t think there’s been a televised street fight since Eddie Guerrerro had one in 2002 or 2003. (I don’t remember his opponent and don’t have time to look it up. Sorry) I liked how they had the rest of the guys out there watching. Though I don’t know why they didn’t have Taz and Tenay doing commentary. Wait, did I just say I wanted to hear TNA commentary. Something must be wrong with me. Actually the commentary on the show wasn’t intolerable. Maybe TNA is starting to come around. Overall, I was entertained by more than I was annoyed by while watching Impact. Hope this is a new direction TNATNA. We’re on Facebook, Twitter, and YouTube. Tell your friends. Do Spoilers Spoil the Show? Ring of Honor: What Am I Missing? Where's Waldo... I Mean Zack Ryder?